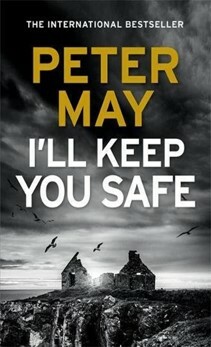 Readers of Peter May’s excellent Lewis Trilogy will have admired his ability to evoke the sights, sounds, smells and spirit of the Hebrides. The same virtues are present in his latest visit to the islands. Ruairidh and Niamh Macfarlane are co-owners of Ranish Tweed, a variety of Harris cloth that has taken them into the world of high fashion. When in Paris together, Niamh receives an anonymous text claiming that her husband is having an affair with the designer, Irina Vetrov. Challenged by his wife, he denies it vehemently. Niamh then watches him through the hotel window as he greets Irina with a kiss and goes out to a waiting car. By the time that Niamh rushes downstairs, the car has drawn away and stopped at traffic lights. As she dashes towards it, the vehicle is blown to pieces and she is lifted off the ground by the blast. After being interrogated by the French police, Niamh is eventually allowed home with the remains of her husband. The book is taut, powerful and full of unexpected turns. It also has some penetrating insights into the murky world of high fashion. There are moments when the narrative seems to drift off into unnecessary reminiscences - but all is explained by a tense and disturbing denouement. It’s another high octane thriller from a real pro. Editor’s Note: A glossary of Celtic / Gaelic pronunciation is provided by the author.